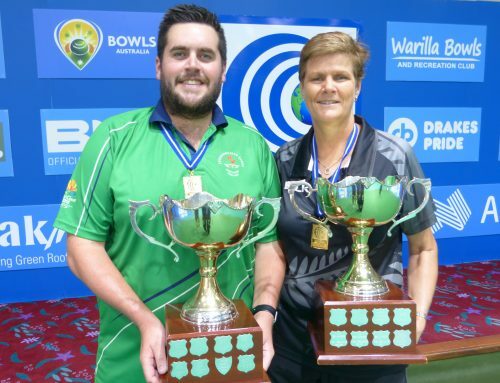 TWO international stars will join bowls immortality in Australia this month when the sport crowns this year’s mens and womens World Cup champions. 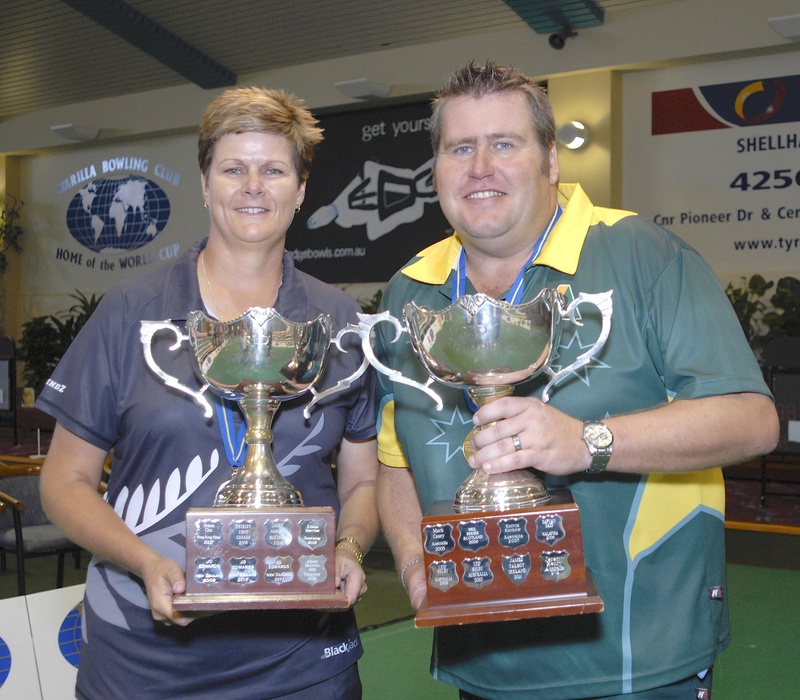 A stellar field of fifty-two internationals representing twenty-six countries will be competing for the ultimate honour at Shellharbour’s magnificent Warilla Bowls & Recreation Club in the 13th World Cup indoor singles championship. 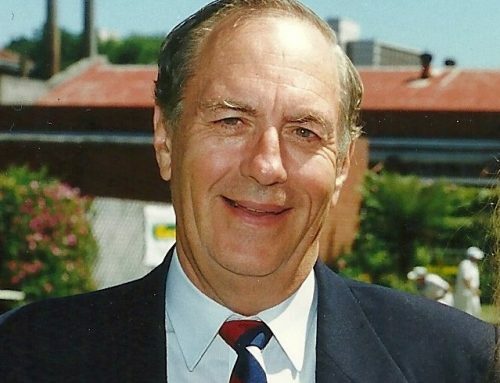 Commencing on March 14 for eight days of competition, the event features twenty-eight men and twenty-four women in action at the Warilla indoor stadium, the official ‘Home of the World Cup’ since 2006. 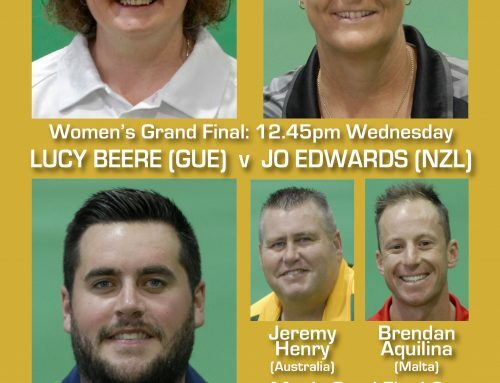 Much interest will surround the hot favourites; defending champion and four-times winner Jeremy Henry, who doubles as the host club’s bowls co-ordinator and will again be the man to beat; while in the women’s competition world No.1 Jo Edwards from New Zealand also has four World Cup titles to her credit and is a potent force on the Warilla carpet. However, it should be remembered that all contestants are international representatives and no-one can be discounted, so both superstars, who also have world titles in other disciplines to their credit, will have to overcome some highly rated opposition in their quest for a fifth World Cup title. Fresh from his gold medal at the world championships last December New Zealand’s Ali Forsyth will launch a serious challenge in the men’s competition, as will Scotland’s Ronnie Duncan in his first trip to New South Wales. America’s Scott Roberts won bronze last time around and will be in contention, as will Pierre Breitenbach from South Africa, classy Malaysian Mohammed Soufi Rusli and the surprising Sunil Bahadur from India, who never fails to unseat a top fancy or two at international events. Also certain to attract attention is exciting Namibian teenager Cabous Olivier, who was one of the stars of the 2015 Atlantic Championships in Cyprus, while Hong Kong China’s Stanley Lai (no relation to women’s representative Queenie Lai) is one of the finest Asian players of the current era. 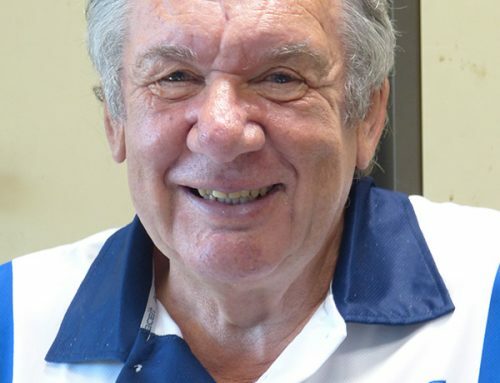 The women’s competition promises to be one of the most compelling World Cups ever with many of the game’s household names heading to Warilla to stake their claim. 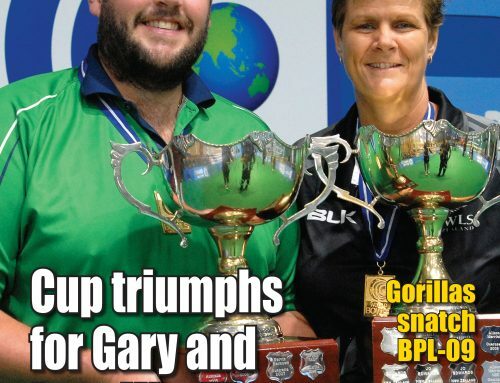 Leading the charge will be Norfolk Island’s effervescent Carmen Anderson, who added last year’s women’s title to the world outdoor singles championship she won in England, at Royal Leamington Spa, 21 years. But two World Cup debutantes will be the focus of much interest. Scotland’s Lesley Doig, who won silver at the world outdoor championships in Christchurch last year, is rated as one of the sport’s best indoor exponents; while Australia’s Natasha Scott wouldn’t surprise anyone if she emerged with the World Cup in hand, considering her amazing record of successes in recent times. Over the past twelve months the richly-skilled 26-year-old struck gold in three world finals and the Australian Open, while she also powered to victory in the Australian Indoor singles championship, which earned her a place in this World Cup field. But although Australian representatives have figured strongly in the men’s championships, claiming eight of the twelve conducted to date, its women have only lifted the World Cup once, when Victorian Judy Nardella rocked the establishment by winning the 2007 title. Other top fancies will include South Africa’s delightful Colleen Piketh, a gold medallist at the 2014 Commonwealth Games in Glasgow and winner of an unprecedented fifth SA Masters Singles title last month, top Malaysian Nor Hashimah Ismail, and bubbly 21-year-old Canadian Pricilla Westlake who was a bronze medallist last time around. Men: Ozkan Akar (Turkey), Sunil Bahadur (India), Hirendra Bhartu (Canada), Pierre Breitenbach (South Africa), Chris Dagpin (Philippines), Ross Davis (Jersey), Ronnie Duncan (Scotland), Ken Emura (Japan), Ali Forsyth (New Zealand), John Gaborutwe (Botswana), Curtis Hanley (Australia), Selwyn Hare (Israel), Jeremy Henry (Australia), Su Hong Lam (Macao), Phil Jones (Norfolk Island), Vevai Kalimu (Papua New Guinea), Munesh Kumar (Fiji), Stanley Lai (Hong Kong), Matt Le Ber (Guernsey), Mark McGreal (Isle of Man), Cabous Olivier (Namibia), Shaun Parnis (Malta), Frans Roberts (Netherlands), Scott Roberts (USA), Tom Rogers (Spain), Mohammed Soufi Rusli (Malaysia), Melvin Tan (Singapore), Osman Yahya (Brunei). Women: Carmen Anderson OAM (Norfolk Island), Merle Apter (Israel), Loa Babona (Papua New Guinea), Lucy Beere (Guernsey), Carol Broomfield (Spain), Lovely Choubey (India), Obakeng Gaborutwe (Botswana), Lesley Doig (Scotland), Ronalyn Greenlees (Philippines), Jo Edwards MNZM (New Zealand), Nor Hashimah Ismail (Malaysia), Stephanie Hili (Malta), Petal Jones (Norfolk Island), Queenie Lai (Hong Kong), Colleen Piketh (South Africa), Radhika Prasad (Fiji), Margi Rambo (USA), Masako Satoh (Japan), Natasha Scott (Australia), Hilda Tam (Macao), Mee Kim Tham (Singapore), Pricilla Westlake (Canada), Corrie Windle-Braam (Netherlands), Osman Yahya (Brunei). Photo: Four times World Cup champions Jo Edwards and Jeremy Henry.